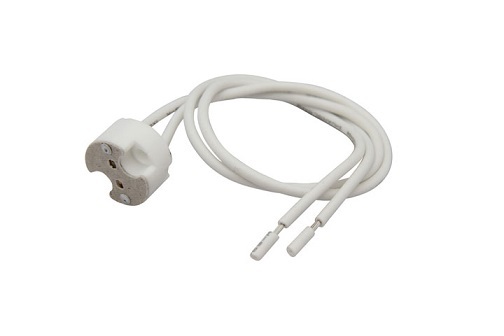 High quality ceramic GU10 lamp holder supplied with stirrup bracket, 180mm silicon wire and fire resistant sleeve outer jacket. 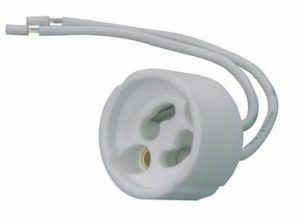 This GU10 lamp holder is also supplied with a removable terminal block that can be used if desired for easy connection into an existing lighting circuit. The cable is secured into the lampholder with a strain relief gland to prevent accidental removal of the electrical wires. Halogen par38 lamp holder, normally named GU10 light socket, are applied to safe bulbs in ceiling lighting fitting and to provide a secure, trusted connection towards the electrical energy supply. 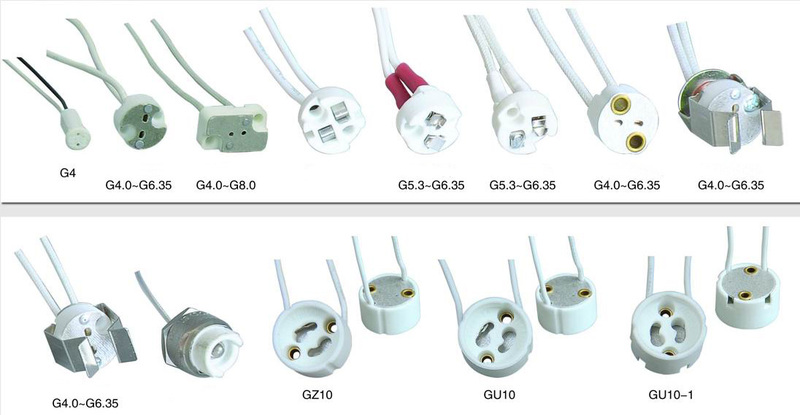 JAMES make ceramice par38 lamp holder for higher temperature applications that consist of mostly Tungsten Halogens, Incandescent and HID bulb sorts. 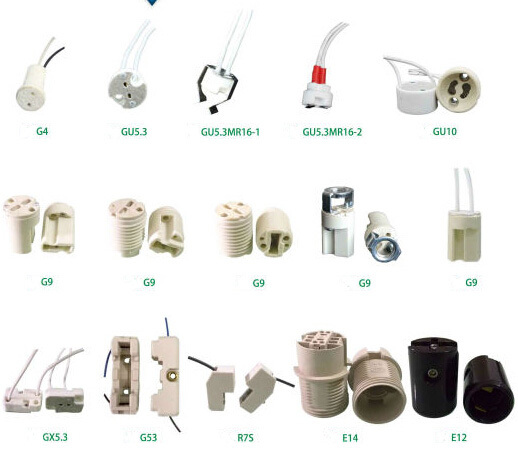 JAMES provides CE & UL certified halogen socket for many diverse product applications. Some of them consist of: interior and exterior building illumination, Stage, studio and film, store displays and large areas for general illumination.